Winton and Queensland Raceway will again host Supercars co-driver practice sessions in 2018. Dedicated running at the start of race weekends in recent years has given PIRTEK Enduro Cup recruits additional laps before the opening practice session for full-timers. That schedule from 2017 will remain unchanged, with sessions on the Friday mornings of the Winton SuperSprint on May 18 and the Coates Hire Ipswich SuperSprint on July 20. The 2018 PIRTEK Enduro Cup starts with the Sandown 500 on September 14-16, followed by the Supercheap Auto Bathurst 1000 and Vodafone Gold Coast 600 in October. 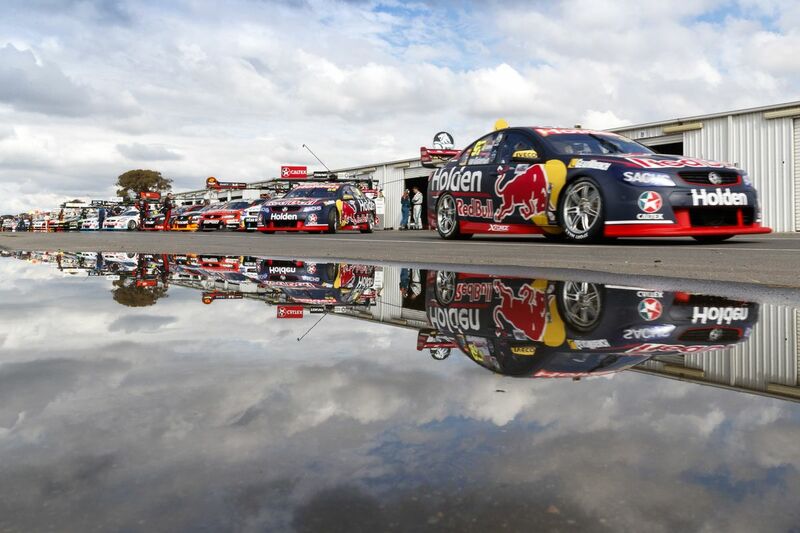 A number of teams have already outlined changes to their enduro line-ups, including the Red Bull Holden Racing Team and Tickford Racing. Red Bull HRT has signed two-time Le Mans 24 Hour winner Earl Bamber to partner countryman Shane van Gisbergen, while Paul Dumbrell continues with Jamie Whincup. With the end of Porsche’s LMP1 program in the World Endurance Championship, which Bamber won in 2017, the 27-year-old returns to GT racing in the US. The IMSA SportsCar Championship calendar means he would be available to drive at Winton but not Queensland Raceway. Bamber replaces Matt Campbell, whose 2018 Porsche schedule precludes a full Enduro Cup return but is set to lead Triple Eight’s V6 turbo wildcard entry at Bathurst. Defending Enduro Cup winner Tickford Racing now has three of its four enduro drivers locked in but is yet to outline pairings. The Ford squad announced it has picked up former GRM full-timer James Moffat this week alongside Dean Canto and Steve Owen, both entering the second year of two-year deals. Chris Pither rejoins GRM for the enduros, having been one of its Volvo co-drivers in 2015, while Richard Muscat continues after making his debut with Moffat last year. Pither spent 2017 with Erebus Motorsport, which has re-signed Luke Youlden after he won Bathurst last year with David Reynolds. Shell V-Power Racing is, meanwhile, expected to continue with Alex Premat and Tony D’Alberto alongside 2017 championship runner-up Scott McLaughlin and Fabian Coulthard respectively.